Master. The Revolution of Time. We are told time doesn’t wait for anyone. We always feel we are running out of time. Sometimes we want time to slow down, sometimes we want it to speed up. 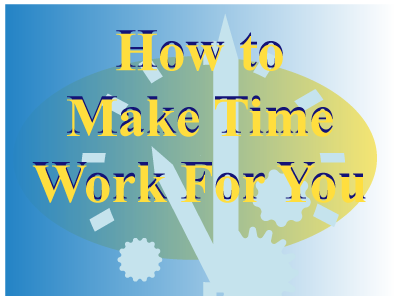 As one of the biggest contributors of stress on this earth plane, we feel helpless and frustrated when it comes to time. It seems to be that inexorable machine that rides roughshod over everyone’s dreams, desires and urgent requests. Can time bend to our intent? Can it dance to our tune? Vital questions that have fascinating, extraordinary answers in this package of teachings by Julius. The impossible is waiting to happen. Time has an extremely binding effect on us when we are on a conscious journey, yet we seldom tackle it, all the while focussing on other practices. These modules guide us on how to move past this block on our journey and implement this guidance in our day-to-day lives. There is much confusion in the definition of what a dimension or realm is. This clip from a teaching of Julius gives clarity so that the following modules are easy to follow. 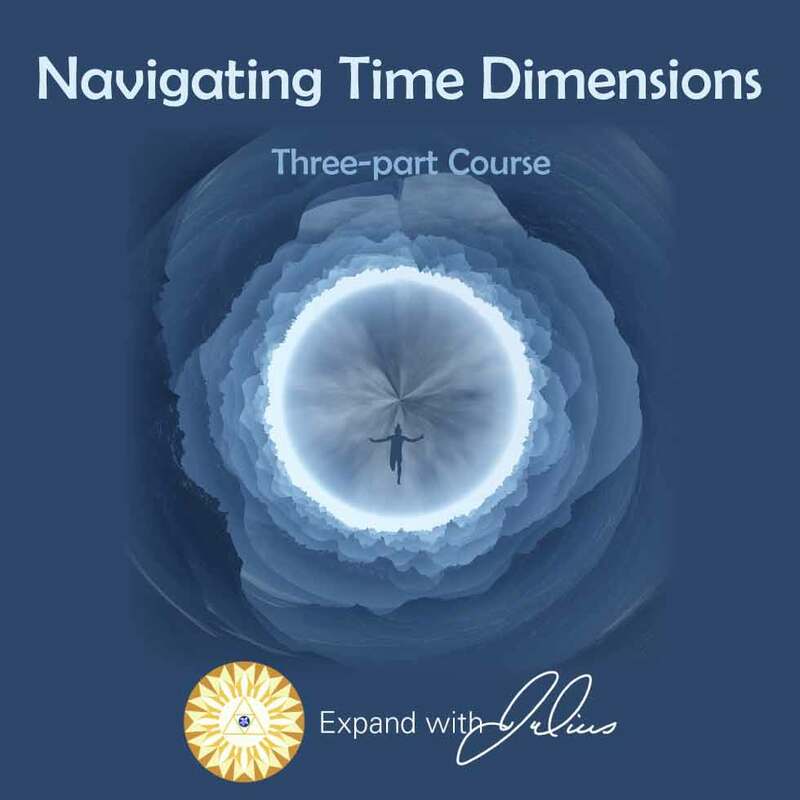 These ground-breaking teachings give you the key to accessing different time dimensions accessible on this physical plane and how to make life even more interesting and fulfilling by adding extra dimensions to making our desires come true. 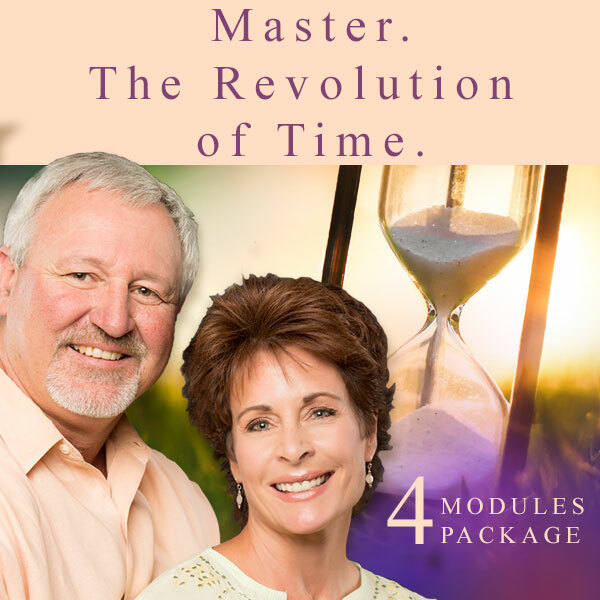 A fabulous guided meditation that takes you through the experience of travelling through time. Who are you and what are you in other existences? Find out through this meditation. How blessed we are! Because of your courage, strength and wisdom, you are lighting the way for so many of us. I can’t even begin to thank you enough for bringing Julius forward and sharing all this insight, wisdom and knowledge. I can’t get enough and everything that is spoken of resonates so true and deeply within my soul. Thank you also, for not just sharing the information, but also “demonstrating” for the rest of us how to utilize all these tools to grow, expand, transform, enlighten and awaken. You both are truly wonderful and since I have discovered you, my life has transformed and I continue to expand in great delight and joy as I discover my self beyond this illusion. Finally a teaching that rings tears of truth. I have been struggling my whole life to be understood and to be able to express who I believe I am. Julius speaks to me with a vibration that illuminates my soul. Thank you so very much for delivering this profound truth. As an energy worker I thought I had experienced most of what is offered by other light workers out there. Kasey and Brad have been an experience like no-other. The powerful energy coming through Kasey is truly something to be experienced. I now feel even more of my own gifts unfolding. Never in my life have I received such life changing information from such amazing teachers. Thank you for showing the way to attaining such peerless enlightenment and for bringing such great truths of the Universal Cosmos down to the level of human understanding. Every class is like discovering a whole new world of endless possibilities. Your teachings have opened my eyes to the true meaning and purpose of life. But mostly, thank you for giving me what was missing in my life… the truth! I have never experienced anything like KaseyBrad before. Hearing such powerful information has truly changed my life. I cannot wait to spend more time in their energy. I didn’t know why I was drawn to listen last night to Julius’ message, but what a life changing evening it was. Thank you Debbie (telesummit host) for hosting this incredible couple. Bringing their work forward can only help raise the vibration of this planet. 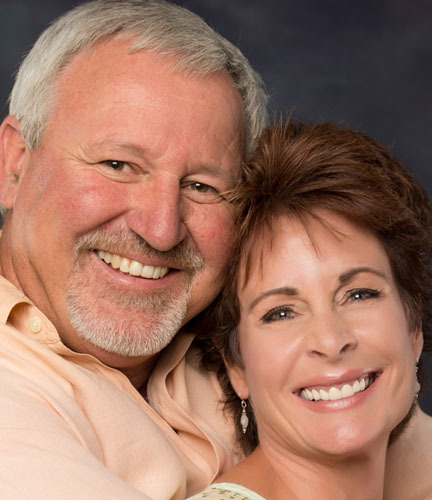 Kasey and Brad present ideas on life essential to your contemporary spiritual understanding. You can discover your ability within to attain your life’s dreams. The unlimited power that lies within your thoughts and how you apply them to your life are paramount to their teachings. The classes and the information given by Julius are truly empowering all of us lucky enough to be listening. Besides that, isn’t it amazing that each one of us – at soul level – has made this choice, at this time, to be present for the delivery of this knowledge. All of us must be tuned in enough to be able to sense the energy that connects us, that IS us, and we are answering the call. That would include you, Kasey and Brad as the ‘instruments’ for communication with Julius, along with each one who listens to these classes in this now or the next now! On behalf of everyone who hears you (if I may take the liberty of speaking on behalf of everyone) thank you for answering your call, so that we too can hear what we are meant to hear. What I am hearing in these messages feels so familiar! Truthfully, it resonates so deeply, and at times I even remember experiences in this life which I now understand were a re-membering of my divine nature. It is so profound. I could give amazing examples, but I will refrain from doing that. In any case, let me simply say THANK YOU to both of you and, of course to JULIUS. I have been with Julius Brad and Kasy for quite a while. It never ceases to amaze me every time I listen as to the feeling of love, and the way they take a topic time and time again and explain it from a different angle helps me in my l life and experience it in a new exciting and expanded way. Thank you so, so much! Thanks for reminding me of who I Am. Thank You Brad and Kasey!!! Thank you…Thank you …Thank you. I wish I knew a more gracious way to express my thankfulness for this opportunity to ask questions today. The words ‘Thank you’ sometimes don’t feel emotionally charged enough especially through email. Someday perhaps I will be able to shake your hands and offer a heartfelt hug. Thank you so much. Wow, I just wanted to thank you so much for such a brilliant class and I am spinning from all of the information that came through. I am finding the source power within to be so incredible that I feel joyous and excited about life and creating fun in everything that I do by just being aware. Bless you for teaching us how to raise our consciousness. Lots of Love.